Digital technology meets artisan tradition in the new KIYOLA KF-10. 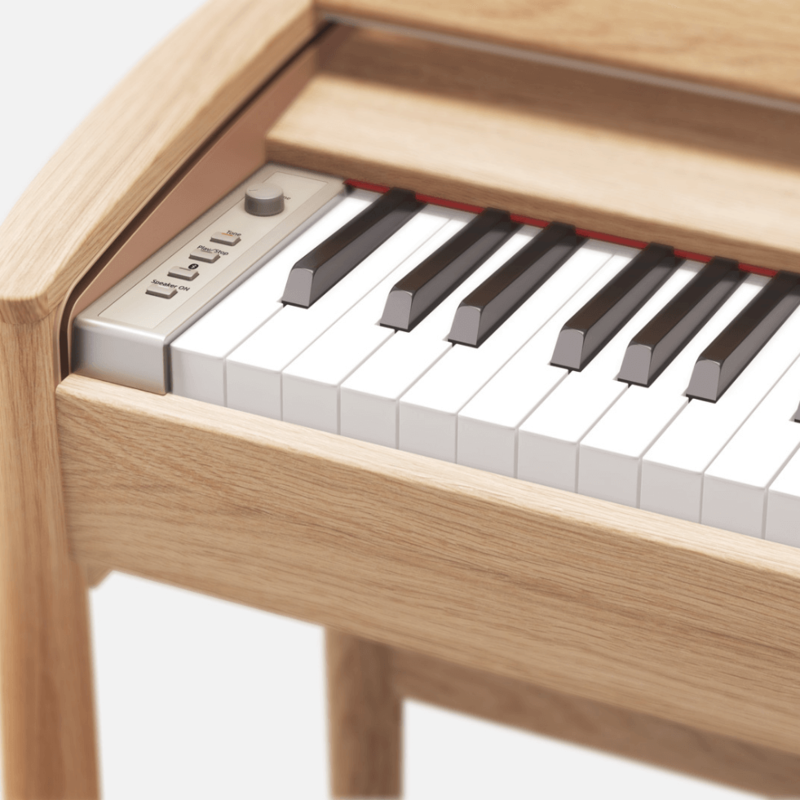 Created in collaboration between Roland and Japanese furniture designer Karimoku, this refined digital piano achieves a perfect harmony of form and function: a powerful instrument that makes a sophisticated statement in your home. Digital technology meets artisan tradition in the new KIYOLA KF-10. 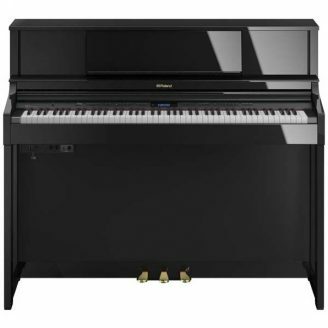 Created in collaboration between Roland and Japanese furniture designer Karimoku, this refined digital piano achieves a perfect harmony of form and function: a powerful instrument that makes a sophisticated statement in your home. 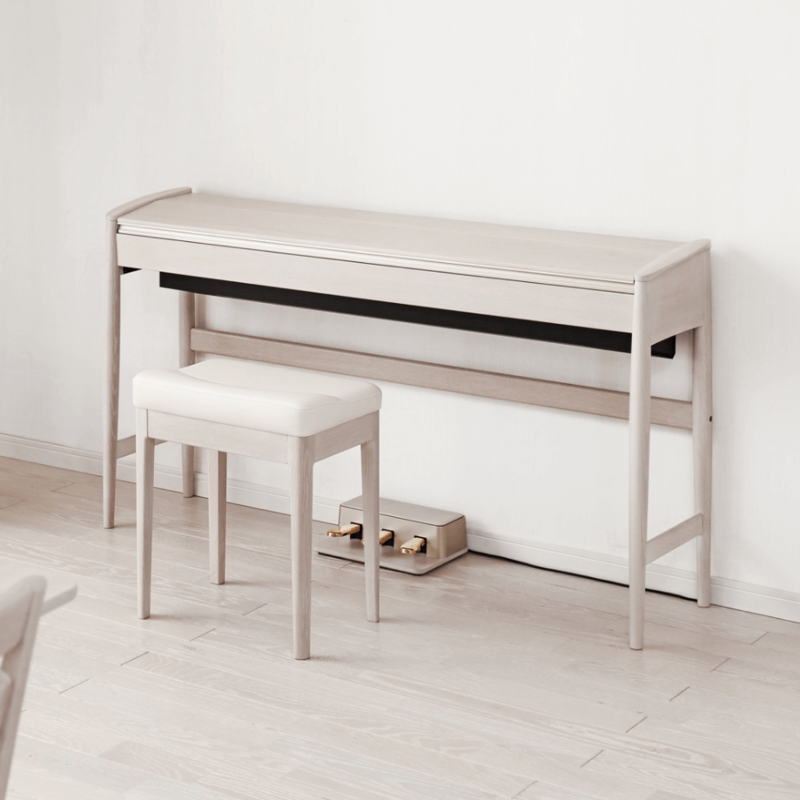 With its model name translating as ‘elegance and beauty’, the KIYOLA KF-10 is visually unique in the modern piano market, offering an all-natural, hand-crafted wood cabinet that complements your living space and lifestyle. 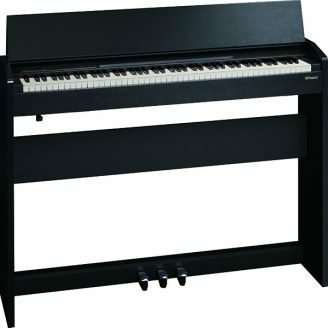 Meanwhile, the presence of Roland’s innovative digital piano technology delivers the performance you demand as a player, with flagship features including SuperNATURAL Piano sound modelling, dynamic sensing technology via the new PHA-50 keyboard, wireless Bluetooth® connectivity to your favorite music-making apps and a dynamic array of speakers that fill your home with sound. 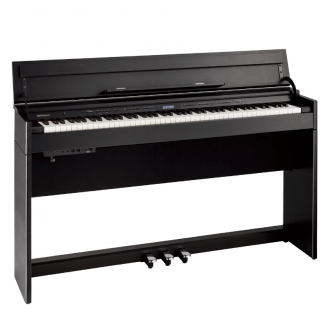 Available in a Walnut or Pure Oak finish, with a foot pedal and ergonomically designed piano bench included, the KIYOLA KF-10 is a digital piano to both admire and enjoy. 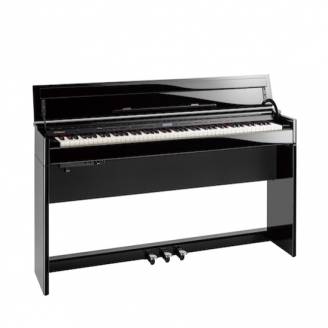 Designed in-house by Karimoku – Japan’s largest wood furniture-maker since 1940, and a noted exponent of environmentally friendly, low-formaldehyde timbers – the KIYOLA KF-10 is unlike any other piano on the market. Hand-crafted in Japan from all-natural wood, the result is a slim, stylish, ergonomically contoured cabinet that complements your living space like a piece of artisan furniture. 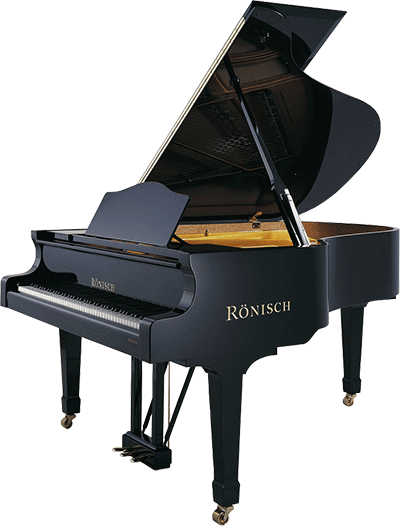 Perfect for players who want to make a statement, the individual grain patterns are unique to each piano, as is the natural ageing of the wood, whether you choose a finish of Walnut (KF-10-KW) or Pure Oak (KF-10-KO). Admiration alone is not enough: you’ll want to reach out and touch the KIYOLA KF-10. The cabinet’s smooth, contoured side panels are inspired by Karimoku’s high-end sofas, while the slim legs help it blend seamlessly into your living space. By keeping the controls to a minimum, the KIYOLA KF-10 preserves the organic look, with the volume knob and buttons all located on the side to prevent any distraction while playing. 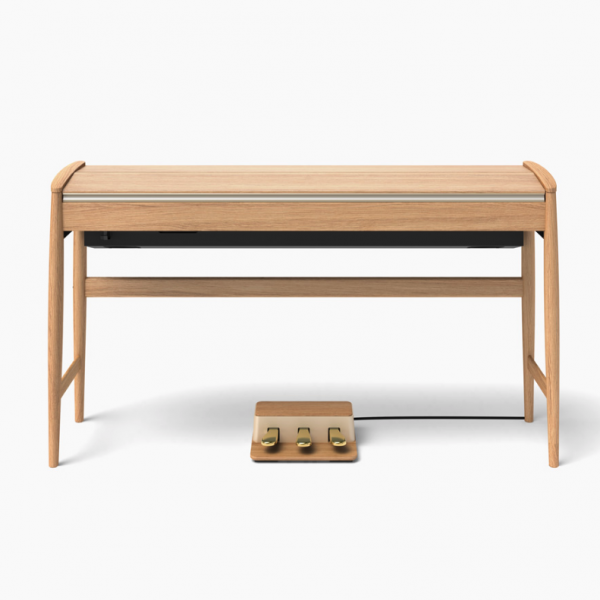 The cabinet lid also doubles as the music rest, for an aesthetic that is simple and compact. Over the years of ownership, you’ll also appreciate the beautiful ageing of the natural wood, just as you’d expect from high-end vintage instruments and furniture. Renowned for their uncompromising attention to detail and perfectionism, Karimoku’s experienced craftsmen build each KIYOLA KF-10 cabinet at their Japanese factory which is located in the same part of Japan as Roland’s headquarters and factories. The cabinets are then shipped to the Roland plant for assembly of the internal electronics, speakers and keyboards. With environmentally friendly materials and methods used at every stage, this collaborative manufacturing process ensures the KIYOLA series is ethical and of consistent high quality. Long periods sitting incorrectly on a badly designed piano bench can be uncomfortable, and may even cause strain to bones and joints, lower back pain and long-term damage to your spine. To address this, the KIYOLA KF-10 takes advantage of Karimoku’s huge experience of furniture design – and associated scientific research – by including an ergonomically designed piano bench. Extensively studied and tested by the Japanese craftsmen, it features a distinctive arched shape that promotes good posture, a wider sitting area that distributes your weight more evenly, and a cushion made from soft, high-density foam. 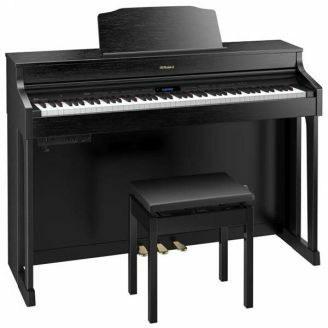 As a result, you can play piano for longer without discomfort or fear of health issues.